$240. 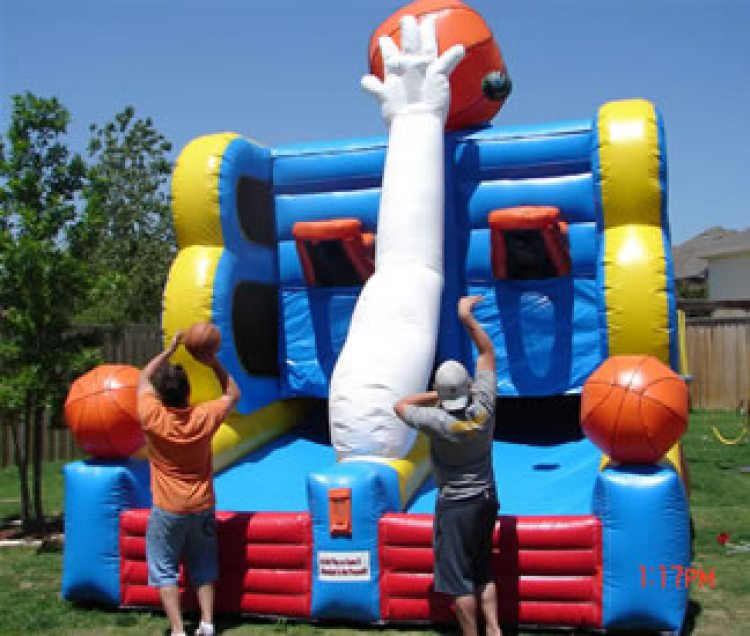 Head-to-head inflatable basketball competition game. 2 Players start with an even number of balls. When you sink one it crosses over to the opponents side. First player to run out of balls wins. 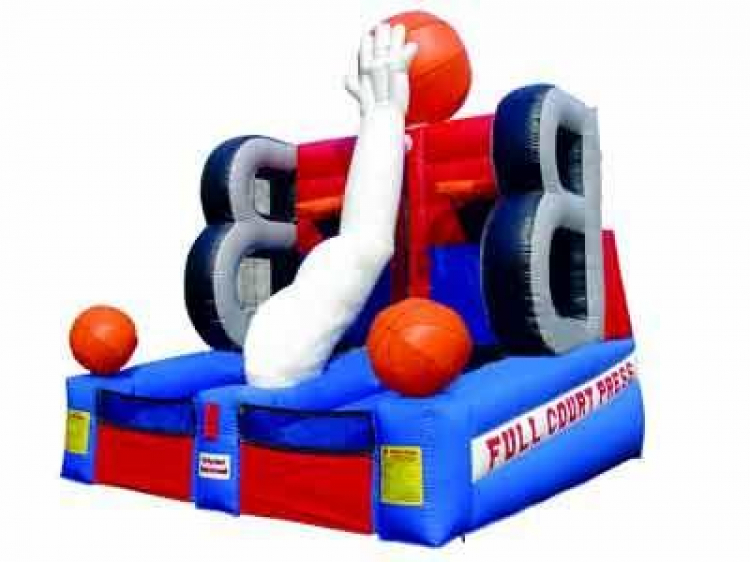 Includes basketballs. Includes (1) 110V blower. Can be picked up by customer. Please see customer pick up policy.